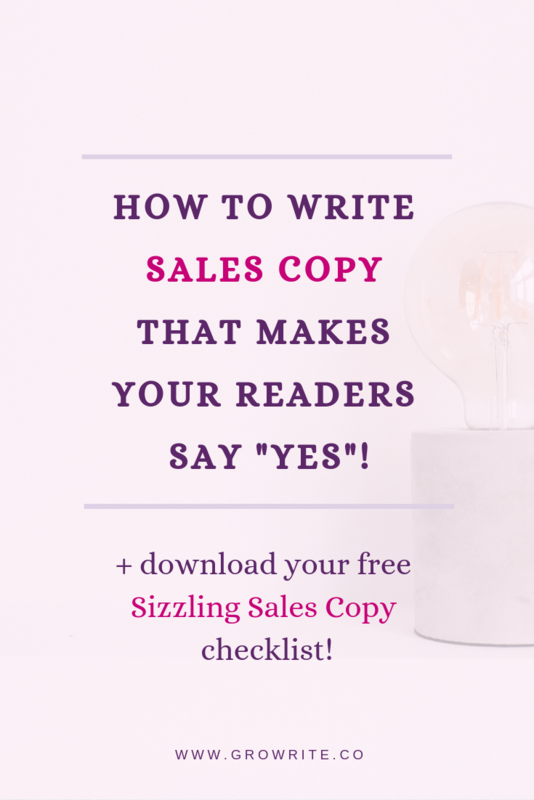 How To Write Sales Copy That Makes Your Readers Say “YES”! Want to 10x the power of your sales copy? Grab your FREE Sizzling Sales Copy checklist! When you sign up, you'll also be added to my mailing list. Not your cup of tea? No problem. You can unsubscribe in a click. Sometimes, we think we've got our messaging all figured out. I mean, how hard can it be?! And then something happens to shake our confidence. Maybe that something isn't TERRIBLE. But it's not great either. It could be something like, you invest hundreds of dollars in Facebook ads, only to not sell a single copy of your program. It could be something like, you spend hours creating content for your community, only to get ZERO response when you finally share it. Or it could be the cumulative, disheartening effect of months spent drafting social media captions, only to never attract a single lead with them. Whatever the situation, it can leave you questioning your messaging, your copy, and even whether you've got what it takes to make it as an entrepreneur. 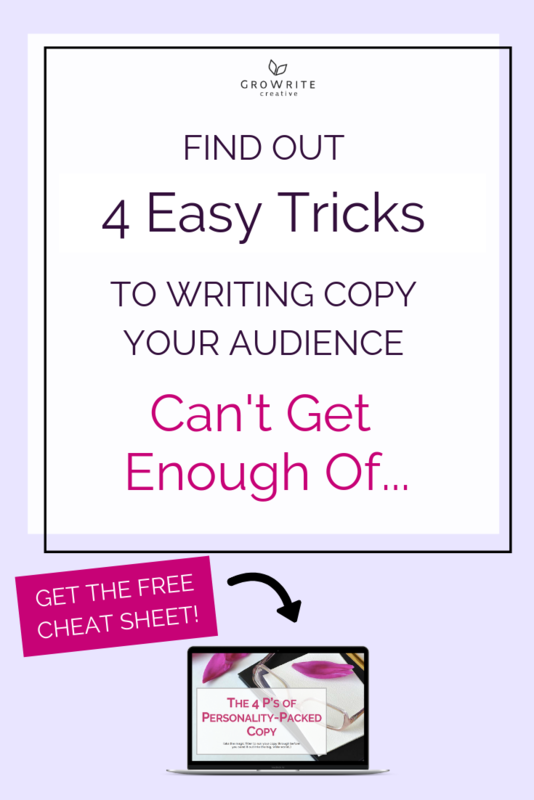 Now, there's a limit to how much I can teach you about copywriting in a single blog post. If you answer "YES!" to all three of them, you can walk away with more confidence that your copywriting is actually doing what it should. 1. Are you treating your reader like a grown up? You've probably already heard that you should write your copy in language that's easy enough for a seven-year-old to understand. BUT that doesn't mean you should treat your reader like a seven-year-old! With a seven-year-old, it might work to paint an exciting picture of all the nice things they can look forward to if they perform the action you want them to. ​- You need to explain how it solves a problem they have. - You need to position your offering as THE best solution to their problem. - AND you need to make your audience feel as if NOW IS THE TIME to deal with their problem once and for all. Yes, that's a lot of things to do. You got to do every single one of those things. 2. Are you exploring your audience's struggles? To make your audience realize that their problem needs to be resolved ASAP, you need to dive in and explore its ramifications. Paint a vivid picture of how it could be manifesting itself in their everyday lives. What are the thoughts running through your audience's head as a result of this unresolved problem? What are they doing (and how are they feeling) when they wake up, when they start work, during the day, after they finish work, and when they go to bed, as a result of this problem not being solved? And what will their future look like in a month, 3 months, 6 months, or a year if they don't hurry up and deal with this? Think hard about all these things. Then write about them -- in uncomplicated language -- in your sales copy. Feel free to use story (with juicy details!) to bring your description of your reader's problems to life. And if you have space, explain some of the mistakes your audience is making (but which they aren't necessarily aware that they're making), which may be keeping them trapped in this situation. Doing this positions YOU as an authority on the issue and as someone with the capacity to resolve their problem! THEN introduce your offering as the solution to their problem. 3. Are you taking your audience's objections to buying from you seriously? And by this, I do NOT mean any objections they may have around pricing. If someone is truly, genuinely broke, they won't invest in your offering. BUT unless people have immovable objections like those above, they WILL find a way to make things work if they want to purchase from you. (You can make this even easier for them by offering some payment plan options). For most people, the objections that are preventing them from buying run deeper. For instance, maybe they've invested in something like what you're selling before, and it was a huge disappointment and they feel scarred from that. Maybe your sales copy is kinda vague and they don't actually understand what they'd be getting from you. Maybe they don't have faith in themselves to achieve the results you're promising. Maybe they think they can keep going the DIY route and accomplish the results you promise all by themselves. Whatever the objections, you have to take them seriously and address them head-on -- whether that's in your FAQ section, elsewhere on your sales page, or in your launch emails. Address these objections from a place of empathy and understanding -- but address them nonetheless, with the aim of breaking past them. Because ultimately, if your reader is mistaken about something or allowing a limiting belief to hold them back, it's the job of your copy to rectify that. Want to fix up your copy further? 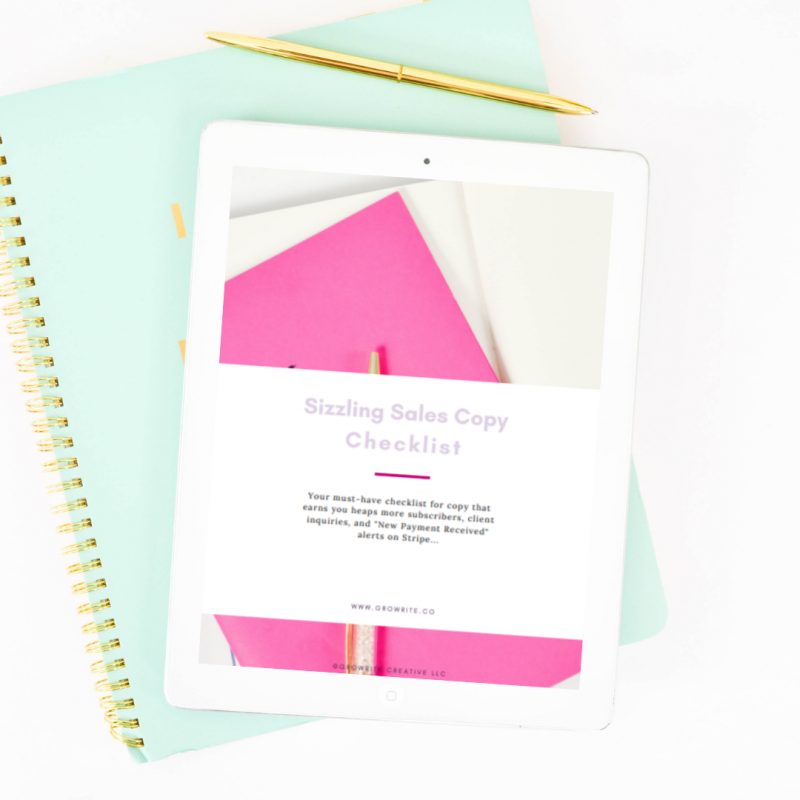 Download your free Sizzling Sales Copy checklist below -- and let me know any thoughts, insights, or questions you have about sales copy in the comments! 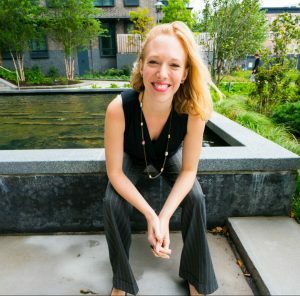 How to craft your brand voice as a coach or consultant (even if you have no idea where to start)! Psst! Sure you don't want to grab your free Sizzling Sales Copy Checklist?